About a year and a half ago the European Commission (DG Enterprise and Industry) declared that they intended to simplify regulations for motorcycles, scooters and mopeds, (these regulations will only apply to new vehicles). 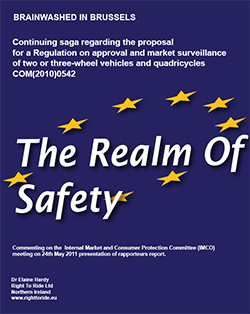 Entitled, “EU Regulation on the approval and market surveillance of two- or three-wheel vehicles and quadricycles”, the Commission presented their proposals for regulations for motorcycles, scooters, mopeds, ATVs and small cars to the European Parliament’s Internal Market and Consumer Protection Committee (IMCO). The Commission’s proposals aimed to reduce emissions through a series of time lines to bring these vehicles in line with car emissions standards. Their proposals then entered into the realm of “safety”. The view of the Commission is by and large, a reflection of the general view held by the establishment with regards to motorcycles, i.e. that this form of transport not only pollutes but is dangerous, it and is responsible for a high proportion of deaths on European roads. Consequently the Commission proposed to make Advanced Braking Systems (ABS) mandatory, Automatic Headlights On (AHO) mandatory and introduce anti-tampering measures of the power train – to stop riders from modifying their motorcycles. 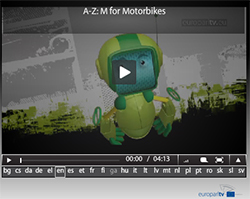 On the 24th May as Rapporteur for the IMCO, Wim van de camp, MEP from the Netherlands and an aficionado of motorcycling, presented his draft report with amendments to the Commission’s proposals. His report will steer the European Parliament when they vote on the proposals in September. The article “Brainwashed in Brussels” is a reflection by Right To Ride of Wim van de Camp’s draft report, his so-called expertise and events over the last year and a half. The European parliament will decide in September on this raft of proposals and our prediction is that following a bit of posturing by the Commission and Parliament, the “brainwashed” MEPs will vote yes to all the safety measures, irrespective if they actually make a difference. We predict that the outcome of these regulations will increase the cost of motorcycles and will drive those the Commission and the Rapporteur appear to be targeting, towards buying second hand motorcycles and keeping them for a longer period of time, thus defeating the purpose of the legislation they want to introduce. Writing an article about EU regulations is about as exciting as watching grass grow and as a result it is incredibly difficult to get attention with topics like “Advanced Braking Systems”, “On Board Diagnostics” and “Power Trains”. 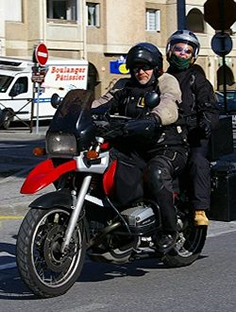 Starting with the premise that motorcycles pollute, mopeds and scooters definitely pollute, the Commission set out their proposals to reduce emissions through a series of time lines to bring these vehicles in line with car emissions standards even though motorcycles are a completely different type of vehicle. Their proposal then entered into the realm of “safety”. With that image in mind, the Commission was in a fantastic position to set out their “safety” proposals in the knowledge that no member of the European Parliament would object to them. 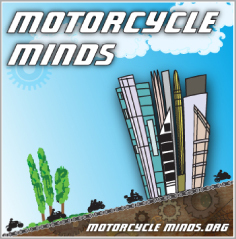 In our story “Brainwashed in Brussels”, Wim van de Camp, MEP from the Netherlands, set out to become the hero for European motorcyclists. He presented himself as an aficionado of motorcycling, an expert, a friend of bikers (he’s a member of both MAG Netherlands and whatever the other organisation is in the Netherlands). He became a patron of the Federation of European Motorcyclists Association (FEMA) and generally gave everybody the impression that he was a “good egg”. The LAT report stated that the increased cost of motorcycles will drive those the Commission and the Rapporteur appear to be targeting, towards buying second hand motorcycles and keeping them for a longer period of time, thus defeating the purpose of the legislation they want to introduce. As you can see from our report those MEPs that seem to be involved in the debate are from Germany, Finland and the Netherlands and there does not seem to be any involvement by UK MEPs apart from the Chairman Malcolm Harbour, maybe they are working behind the scenes? I thought FEMA was supposed to represent all motorcycles and their riders but here it seems that they have focussed on one type of bike to the detriment of the others. That video was taken at the FEMA MEP ride and what the video suggests is that FEMA prefers electric motorcycles, and as an alternative wants to promote bicycles as environmentally acceptable until there are enough charge points for electric motorcycles. Is that true? I was shocked! a few parts do make sense, cutting down on pollution is always a good way to start, but what about the cats that have been fitted on a lot of bikes as standard for the last few years? as it is, anti lock is an extra, because of the cost involved…. keep it that way.